With the flipback set to debut in England next month, I’m so pleased to introduce Arthur van Keulen, international marketing manager of Jongbloed BV, the Dutch publishing company that created this innovative book format. The goal of the product, as Arthur states in the interview, is to make reading more convenient for today’s consumer. Dwarsliggers are pocket-sized, hardcover books that are read from top to bottom instead of left to right. They’re a sixth of the size of a normal book and their special spines let them stay open without the need for constant pressure from your fingers. They’re known as librinos in Spain, point2 in France and—you guessed it—flipbacks in England. Jongbloed, a publishing company well-known for producing high-quality Bibles, partnered with the Ambo Anthos branch of the NDC/VBK publishing group, the leaders in the Dutch consumer book market, to launch the dwarsligger in September 2009 in the Netherlands. Since then, more than 1.5 million of these slim, eye-catching volumes have been published in three countries, featuring 130 fiction and nonfiction titles by authors such as Dan Brown, Jonathan Safran Foer, Deepak Chopra, Cormac McCarthy and others. The flipback will debut through Hodder & Stoughton on June 30 in England, beginning with 12 titles. I posted a comprehensive overview of flipback books on Friday as a primer for this interview, so check that out first. 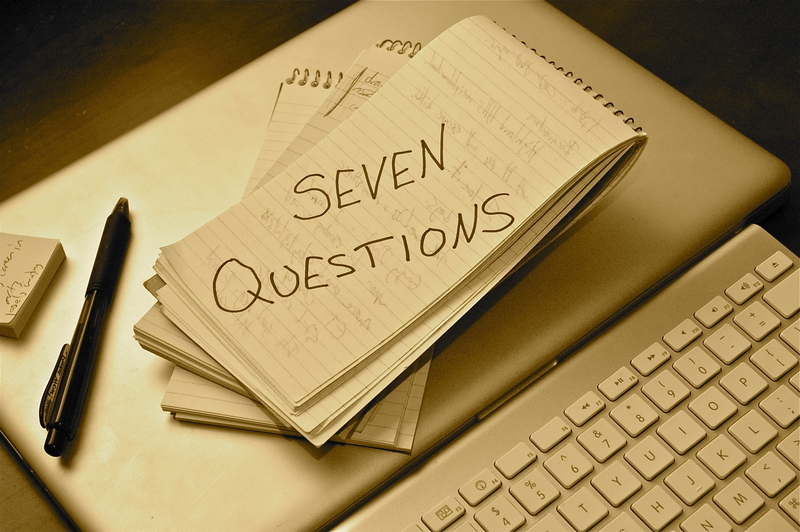 Welcome to Seven Questions, Arthur! 1. Tell us about the dwarsligger. What makes it different from a traditional book? What’s special about the binding? Are the thin pages durable and readable? Is there a standard typeface, or does that depend on the book? All images courtesy of Jongbloed BV, except the Seven Questions photo. The difference between a normal book and a Dwarsligger is that we have turned the generic book 90 degrees in order to make a normal page from the two pages that you are used to having in a normal book. With the combination of that innovation and utilizing lightweight paper, we are able to reduce the size of a book significantly. In this way, the book becomes extremely convenient. You can have the latest novel that you are desperate to read with you at all times. In this way, we endeavor to create more reading moments for readers and to make reading more accessible, due to the Dwarsligger’s convenient size. The binding style is especially designed to comfort the reader and to respond to the mousetrap that prevents the generic paperback from maintaining an open position. Through this special binding style, Dwarsligger books remain open at all times, which encourages comfort for the reader while reading. Our company is renowned for its specialization in handling lightweight paper, and we are one of the few companies in the world that is capable in handling 22 gsm paper. The paper that we use is from the French company Bollore, which is renowned for its high-quality lightweight papers that have a high opacity level. For this reason, the paper is not only durable and very suitable for books, but it has a very premium look and feel as well. We closely work together with our graphic design partner for the typesetting. Although there is a standard typesetting, we modify the typesetting for the different markets across Europe, and sometimes even for a particular book, to achieve the best readability possible. 2. The dwarsligger was launched in Amsterdam in September 2009. How many titles were released in the first year, and what was the initial response? 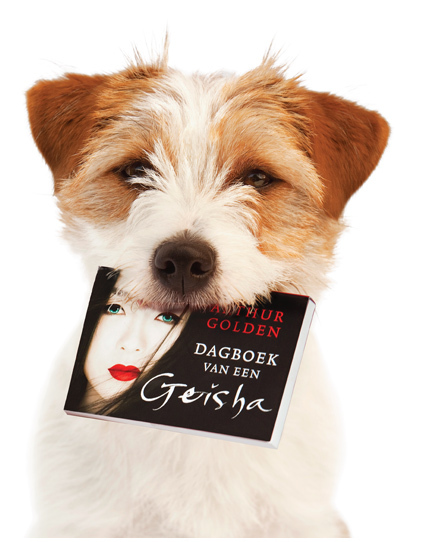 How have Dutch readers embraced this format since its debut? In September 2009, we launched the Dwarsligger with 16 titles, and initially we received an overwhelming enthusiasm from consumers. Prior to the launch in the Netherlands, we always included all major retail chains in order for them to be involved in the preparation of the launch. Due to the large enthusiasm we received from the retail chains, we were able to have a distribution of over 95% of all book shops across the Netherlands, which is exceptional. As soon as the Dwarsligger was launched, all social media were discussing the Dwarsligger to a very large extent. Due to the demand of the consumers asking for more titles on our refreshing format, we have now, 1-and-a-half years after the launch, published over a hundred titles on Dwarsligger, with over a million dwarsliggers in print, in the Netherlands only. 3. Do you think more people are reading in the Netherlands because of the dwarsligger’s convenience and portability? It will be tough to make any statements about the increase of the reading population in the Netherlands, since there is not yet any research to support this statement. However we could say that the overwhelming enthusiasm of the consumers has truly signaled that consumers are greatly stimulated to read because of a new, more convenient representation of the book. Which, in their opinion, adapts more to their more agile way of living of today. 4. What’s selling most—fiction or nonfiction? Has a particular demographic embraced the dwarsligger, such as students or businesspeople? At this point in time more fiction titles are published. However we believe that the Dwarsligger has a strong potential for nonfiction as well, based upon the current sales figures we have observed for nonfiction titles that we have published on Dwarsligger so far. 5. In June, the dwarsligger will launch in England (as the flipback) through the publishing house Hodder & Stoughton. How does that work? Who will be printing the initial 12 titles—Hodder & Stoughton or Jongbloed or NDC/VBK? Are there plans to bring the dwarsligger format to other countries, such as America? Dwarsliggers are considered ideal for commuters--you won't elbow your neighbors when turning the page! For the different national markets we work through license agreements with local publishing houses, in which Jongbloed is the party responsible for printing the titles. Besides the Netherlands, we have launched our concept in Spain, France and, as you have correctly mentioned in your question, in the UK. At the moment we are in discussion with several publishers for different markets across the world, including the U.S.
6. I imagine compact books would allow retailers to display many titles in a small space. What has the reaction been from booksellers? The reaction of the retailers has been very positive, since they indeed were required to provide less space for the same content that would normally be in a regular paperback. 7. Did the challenges inherent in publishing Bibles contribute to developing a small book with lightweight pages that stays open? Have any dwarsligger Bibles been printed yet, or is there an upper page count that limits such an application? They have. At the moment, we have printed several translations for the Bible in different languages, among others was the King James Version, which has been published by Cambridge University Press. Thank you so much for participating in Seven Questions, Arthur! Check out more information about dwarsliggers here, including an informative video and a PDF catalogue. For details about the British release, see the Hodder & Stoughton website. Jongbloed BV’s site is here. For information about librinos in Spain, see www.librinos.com. For details on the French point2 titles, see www.editionspoint2.com. This entry was posted in Books, Flipback, Reading, Seven Questions and tagged dwarsligger, flipback books, interview, publishing. Bookmark the permalink. This is an excellent interview! The Dwarsligger seems like a very exciting concept for the publishing world. I hope we will be seeing them in the US soon! Glad you liked the interview, unpetitfauve! Thanks for commenting. It’s been fascinating to learn more about how dwarsliggers are different from regular books. I hope they arrive in America soon, too! What an awesome idea – I wish I’d thought of it. I’m sharing this link with my publishing friend! Thank you for bringing this to my notice & great job on the interview too. Oh thanks so much for your comment, Mandy, and for sharing the link with your friend! Thank you very much for the interview and the article about flipbacks! It is very helpful and interesting too. Just I have one question (I couldn’t find anywhere in English), who is printing flipbacks in Spain, France ? And which printing house is going to print such books in UK? Thank you in advance. Hi, Egle! Great questions and thanks for your comment. I actually addressed the Spain and France partners in part 1 of the flipback series. There was so much information I couldn’t fit it all in one post. The Spanish librinos are through the publishing house Ediciones B (part of Grupo Zeta). The French point2 titles are through Editions Point (part of the Martiniere Group). Hodder & Stoughton is the British company that’ll release the flipback in June. Thank you for your answer. So you are saying that they print (I mean make a book, like biding and so on, not only publish it) flipbacks too? By “they” do you mean the publishing houses in each country? Although I’m not an expert–just a curious soul!–I believe, from Arthur’s answer to question 5, all the printing is done by Jongbloed BV. The publishing houses in each country are more like partners–they have signed licensing agreements. The Hodder & Stoughton books, as far as I understand, will bear that publishing house name, but the actual printing and cool binding technology will be done by Jongbloed. I could be mistaken, because I haven’t actually seen a sample copy yet, and I hope if I am mistaken, Arthur will jump in to correct me! Thank you very much for the answer and your thoughts. You’re welcome! Thanks for stopping by and asking great questions. I’m going to post at least one more piece on the flipback style, as Cambridge University Press is sending me their King James Version Transetto Bible, which utilizes the same technology. That is great! So maybe when you’ll receive the flipback, you could find out which company prints in that technology (or maybe that Bible is printed by Cambridge University Press)? Thanks in advance. And I will be waiting for your new article about flipbacks. I’ll email Arthur and clarify that–and/or I should know by looking at the KJV Transetto Bible when it arrives. Thanks for your interest! Thanks a lot! I will be waiting, because I have written to Spain and France, but I haven’t received emails from them. Ah ha! Your answer came in the mail today, Egle, thanks to the Cambridge University Press. The KJV Transetto Bible is “published by” Cambridge University Press, but as I thought, “printed and bound in The Netherlands.” Hopefully this helps! Thank you very very much! I also received email from Spain. Librinos (flipbacks) are printed by Jongbloed from Holland. I guess the same situation in France and also in UK. Glad you heard back from Spain, and yes, I think that confirms it. It makes sense that Jongbloed created the technology and owns the presses in Holland that can handle such thin pages and these flexible bindings. I imagine the publishing houses own the rights to the books, and that’s what makes the partnerships work as win-win situations. Thanks for posting such a great interview! This was really interesting.